Preheat oven to 400 degree. Line a small rimmed baking sheet with foil. Rub pork with olive oil; sprinkle with salt and pepper. Place on prepared pan; bake for 25 to 30 minutes or until a meat thermometer inserted into thickest portion registers 145F. Let stand for 10 minutes. Thinly slice pork, and set aside. In a smal bowl, combine mayonnaise, basil, and sriracha. Spread over bottom half of rolls. 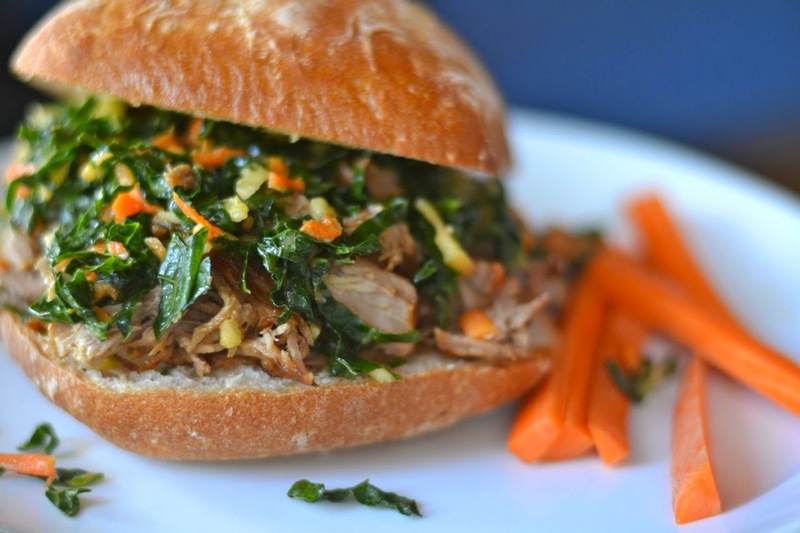 Top with sliced pork and asian slaw. Spread additional mayonnaise mixture over cut side of top halves, if desired. Cover sandwiches with top halves.